Rhoads in the Chemistry Lab at UW. Sara Jane Rhoads papers, Box 1, Folder 11. Today between 6:02 am to 6:02 pm, science teachers around the nation are celebrating Avogadro’s number (6.02 x 1023), the approximate number of particles in one mole of a substance. In chemistry a mole is a unit of measurement for an amount of a chemical substance. While others are singing songs about molecules and building “mole day trees” out of beakers, tubes, and Bunsen burners we’re celebrating with images of University of Wyoming chemistry professor Dr. Sara Jane Rhoads. 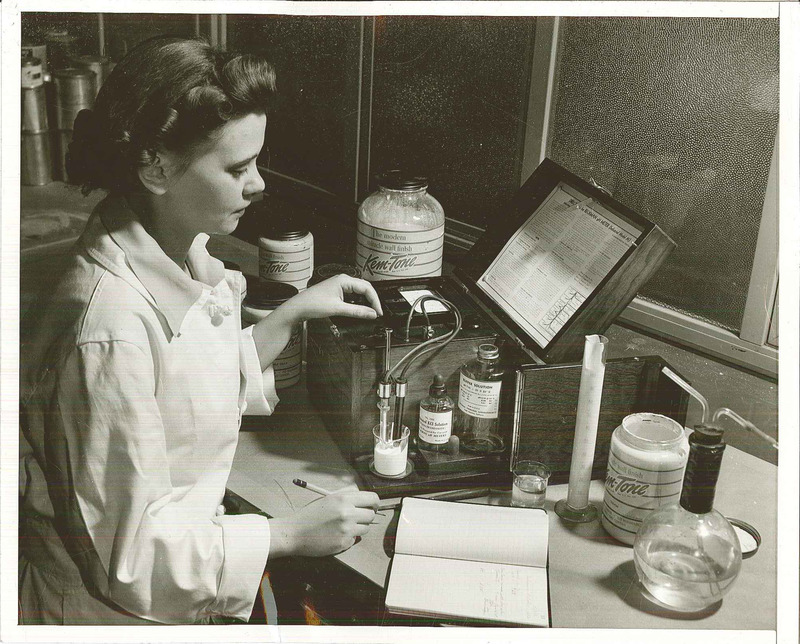 Rhoads working as an industrial chemist in the Chicago area, 1941-1943. Sara Jane Rhoads papers, Box 1, Folder 11. Dr. Sara Jane Rhoads joined the university’s faculty in 1948. She was one of the first women in the United States to reach full professor rank in chemistry. 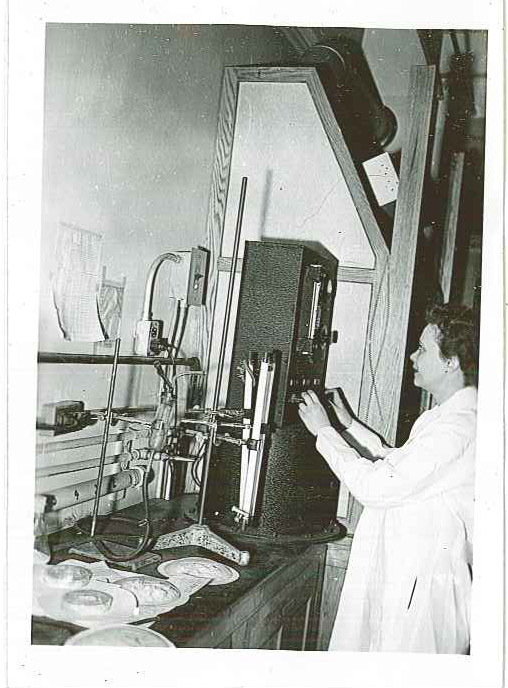 While at the university she initiated the undergraduate chemistry research program in the Chemistry Department, and served as head of the department from 1967-1968. Dr. Rhoads influenced her nephew, Dr. Richard Smalley, to go into chemistry. In 1996, Smalley, along with his colleagues, won the Nobel Prize in Chemistry for their discovery of fullerenes. In 1992, Dr. Smalley presented at the first annual lecture series instituted by the Chemistry Department to honor Dr. Rhoads and her colleague Dr. Rebecca Raulins. Dr. Rhoads retired in 1984 and died in 1993. 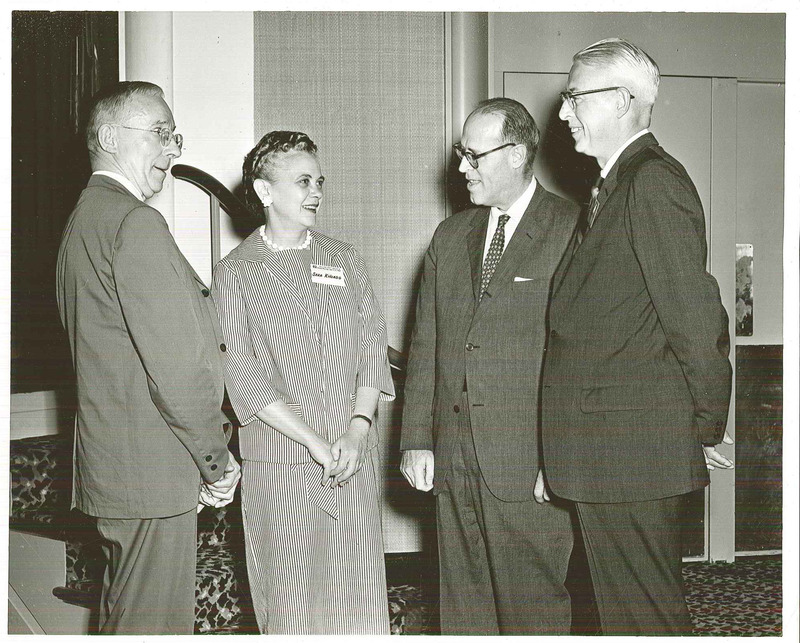 To learn more about chemistry at the University of Wyoming check out these collections about the Department of Chemistry and its faculty: the Department of Chemistry records, and the Dr. Sara Jane Rhoads, Owen R. Asplund, and Orville A. Beath collections. Recipients of 1964 College Chemistry Teacher Awards Presented by the Manufacturing Chemists’ Association, Inc. Professor Rhoads is second from left. Sara Jane Rhoads papers, Box 1, Folder 11. This entry was posted in Science, University of Wyoming history. Bookmark the permalink.